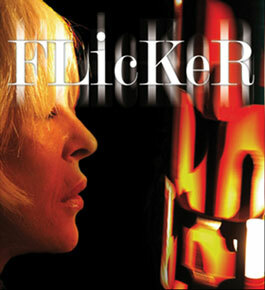 FlicKeR, winner of the Special Jury Prize, Canadian Feature Documentary at the Hot Docs Film Festival (2008), Best International Film on Art, Era New Horizons Festival, Poland (2009) and nominated for a 2009 Gemini Award, Best Performing Arts or Arts Film, is a film about Beat artist, Brion Gysin, his dream machine and mind-altering experiences. The dream machine looks simple enough: A 100-watt light bulb, a motor, and a rotating cylinder with cutouts. Just sit in front of it, close your eyes, and wait for the visions to come. The dream machine offers a drugless high that its creator – poet, artist, calligrapher and mystic Brion Gysin – believed would revolutionize human consciousness. He wasn’t alone. Kurt Cobain had a dream machine. And William S. Burroughs thought it could be used to ‘storm the citadels of enlightenment’. With a custom-made dream machine in tow, director Nik Sheehan takes us on a journey into the life of Brion Gysin – his art, his complex ideas, and his friendships with some of the 20th century’s key counterculture figures. Featuring greats like Burroughs (in archival footage), singer Marianne Faithfull, singer/artist Genesis P-Orridge of Pyschic TV, poet John Giorno, punk rocker Iggy Pop, filmmaker Kenneth Anger, and artist/turntablist DJ Spooky, FLicKeR is a hypnotic documentary.